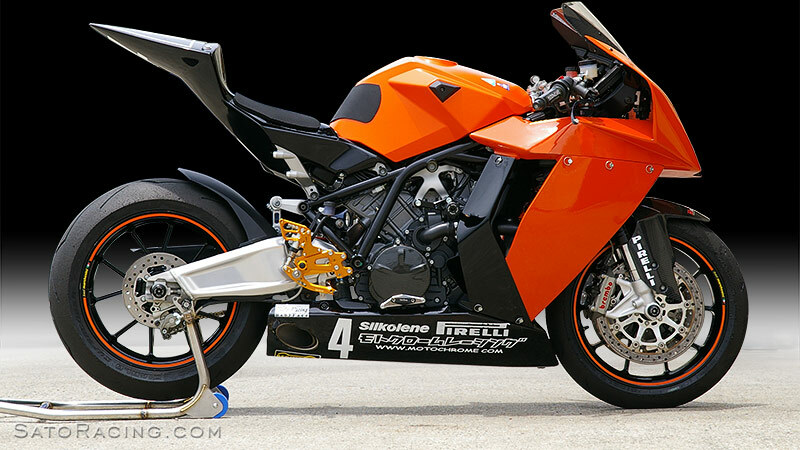 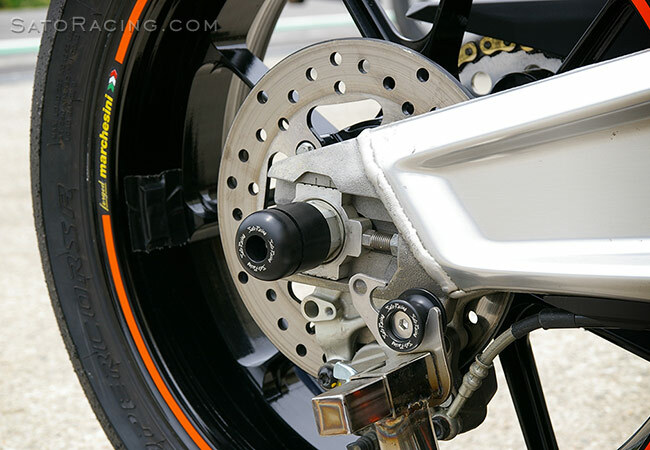 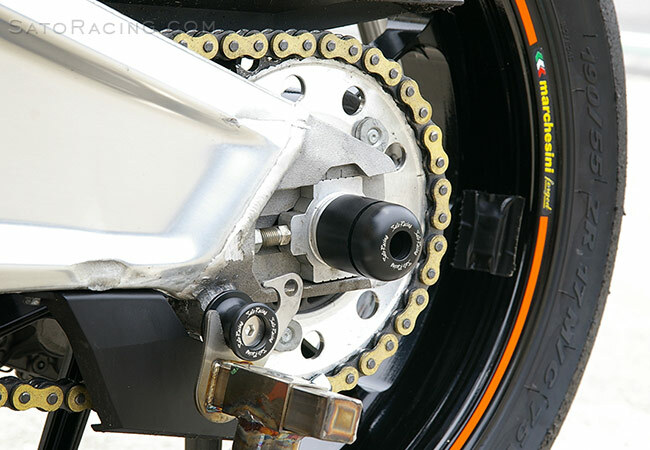 SATO RACING Axle Sliders for KTM RC8 ('08-'11) feature slider pucks made of hard, abrasion-resistant DELRIN plastic, for excellent protection of the wheel area if you drop it at speed on the track. 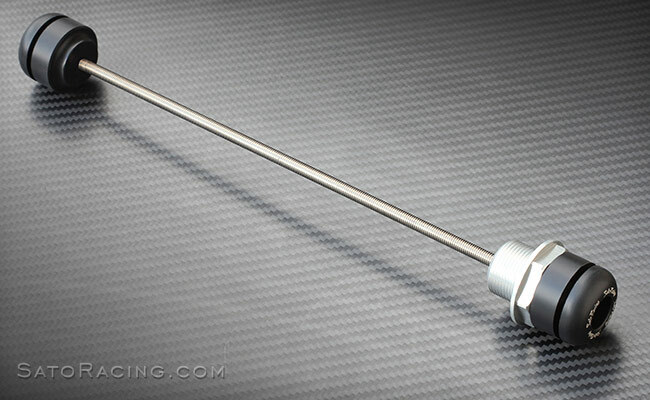 Fastened to the wheel hub with a stainless steel throughbolt. 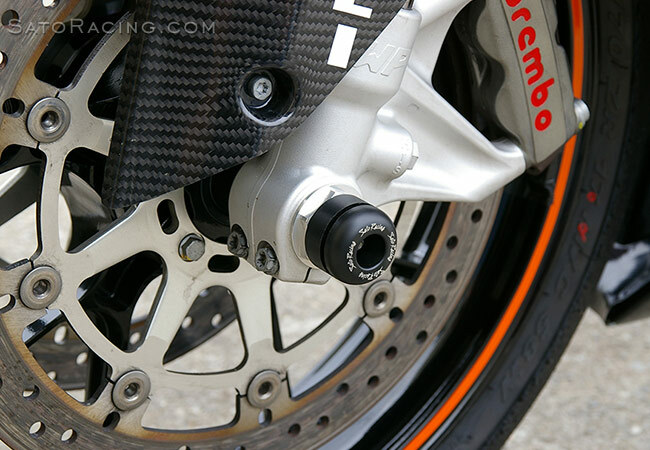 Choice of Front and Rear Axle Sliders, available separately. 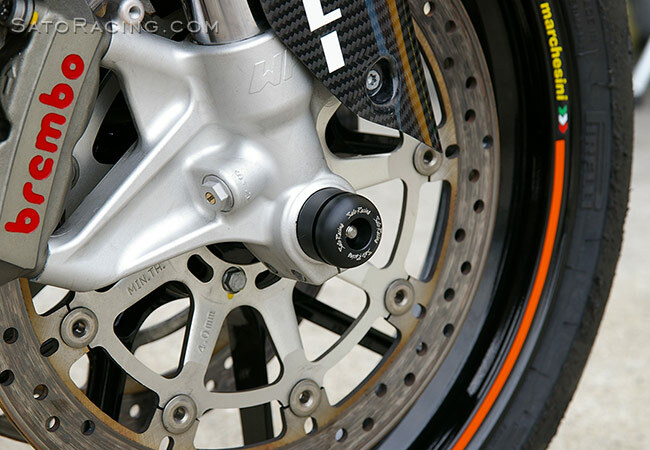 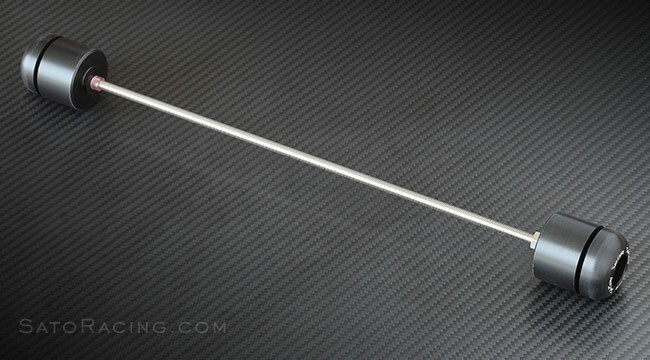 brake parts from scrapes and other damage if in a crash.